CSR Report – . :| MEHRAN SUGAR MILLS LIMITED |:. Free supply of Mud, which is a very healthy soil nutrient. High yielding cane as seed on credit. Prompt payment of cane bills. We can proudly state that we make 100 percent payments to our farmer within a week during the crushing and at the closure of season each year. Seminars/field visits by leading scientists to educate our farmer on modern farming techniques. Videos and pamphlets to make our farmer aware of recent trends in the industry that could impact his business. Pest-scouting program headed by a foreign PhD to diagnose and then eradicate pests in specific farms, which have been infested. Provide free health care to our farmers and the local community through a mobile dispensary. Provide education to the children of our farming community at our Daood Memorial School with subsidized transport facility to ensure that children from distant areas can get quality education. The School is situated within the premises of the Mills primarily for our employees and generally for the youth of the surrounding areas. Since its incorporation in 1998-99, the company is providing full operational, financial and logistic support to the school. By the grace of God, and continuous efforts of the management and the teachers, the school is growing steadily and currently, 533 students are enrolled and 21 faculty members are entrusted to provide quality education. While the number of students increases, we have continued to ensure that there is no compromise education standards of the schools. This is benchmarked throgh teacher training programs as well as results of our students. In order to broaden the horizon of our education initiative, a school has been developed in collaboration with The Citizen Foundation in Piyaro Lund area, 13 kilometers from our factory. 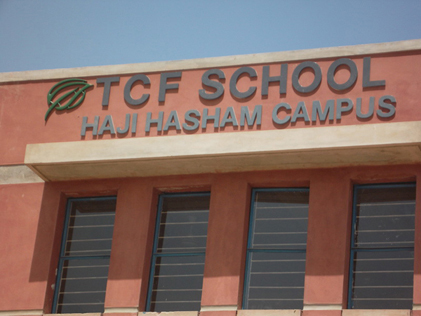 The school was established in 2011 at a cost of Rs. 11.26 Million funded by Mehran Sugar. Currently 481 students are enrolled with 26 faculty members. MSML has again taken an initiative for broadening the education base by embarking on the development of yet another school at Hurri,12 kms from our factory. The school is again being developed in collaboration with The Citizens Foundation at a cost of Rs. 16.5 Million, which Mehran Sugar contributed in large interest of the local community. The campus has started its academic session from April 2016. So far, 313 students are enrolled with 13 faculty members. The objective of MSML Mobile Dispensary is to provide free of cost health care services at the doorstep of the poor and needy in the surroundings of Tando Allahyar. We started our first Mobile Dispensary unit in June 2004 and so far it has diagnosed and treated 47,233 patients for various ailments. During the period October 2016 to September 2017, it had provided services to 4,824 patients. Free Eye Camp is being organized once every year at the mills premises where large number of needy persons from nearby areas turn up for various eye-related problems. Necessary Major and minor operations are carried out. Follow up visit is also conducted by concerned doctors to ensure that treatment given earlier is yielding desired results.